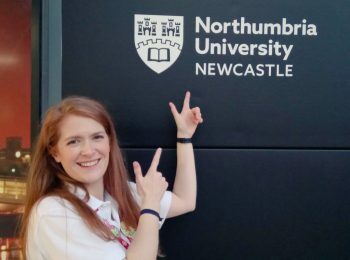 Radio Lollipop Newcastle Chairperson Lydia had the pleasure of being invited to speak to staff and students at Northumbria University today. The mixture of over 40 students were from the 2nd year journalism course and the1st year mass communications course and they were extremely interested in what Radio Lollipop do within the Great North Childrens' Hospital. Lydia also got to visit the University radio studios where she was interviewed by Dr Jonny Walker, promgramme leader for the mass communications course. We hope that this will be the beginning of a long and fruitful relationship with the Unviersity in the future.